I f*cking hate being a fan of Colleen Hoover sometimes! I know full well what I'm going into; I know full well that the book would be brutal. But every time she releases a new book, I'm there buying it. UGH! Fallon met Ben for the first time on November 9, the anniversary of the fire that destroyed her acting career. Their attraction is instant but Fallon was scheduled to move across the country that day, so they made a plan to meet every year for the next 5 years on November 9. This book follows their story through the 5 November 9's, told in Ben's and Fallon's point of views. To be honest, there were just so many things about this book that I hate that I was so surprised how much I loved this one! I mean, this whole book happened in a span of less than a week, for Christ's sakes, and there were so many things that happened already! There was insta-love, but it didn't really feel like insta-love to me. There was so much lying going around,their relationship was so dysfunctional and confusing, and Fallon is a bit whiny and a masochist. I have no idea how CoHo made this all work out because I wasn't even thinking how annoying any of those were while reading the book. In fact, CoHo made Fallon and Ben's love story feel like the perfect love story. Can you see how powerful and wonderful this woman is with words? AMAZING! And all the bookworm talks? They were just perfect! Not only did this book make me fall in love, it also made me laugh out loud. Just like any other novel written by Colleen Hoover, this book was amazing and heart-wrenching. I can't believe I loved this book, but at the end of the day, I did. I will always be a Colleen Hoover fan, and I would always buy her books even without reading the synopsis. Totally EPIC! One of the best books I have read. A MUST read! This was a reread and I would reread it again! 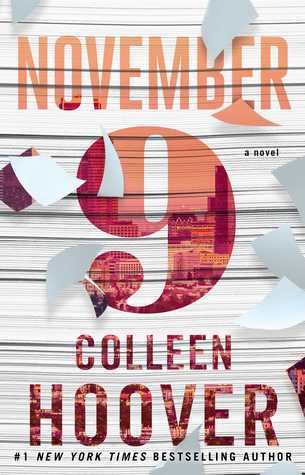 Kim, I am also a HUGE fan of Colleen Hoover! She is one of my very favorite authors. Every single book I've read by her has reduced me to a crying mess! So excited to read this one! !